The EUROCLIO Honorary Board currently consists of 26 notable scholars and individuals who are prominent in public life and academic circles and thus give a powerful endorsement to EUROCLIO’s mission. They allow themselves to be listed as EUROCLIO Honorary Board Members as a token of their recognition. It is of great significance that an organisation such as ours is able to give evidence that our aims are supported by such exceptional and influential individuals. EUROCLIO is most grateful to these distinguished individuals for their commitment to the Association’s mission and work. André Azoulay (born 17 April 1941) is a senior adviser to king Mohammed VI of Morocco. He previously advised Mohammed’s father, king Hassan II. He is a former president of the Anna Lindh Euro-Mediterranean Foundation for the Dialogue Between Cultures, based in Alexandria, Egypt. He is also President of the Executive Committee of the Foundation for the Three Cultures and the Three Religions, based in Seville, Spain, a founding member of the C-100 Davos Forum for the Dialogue of Civilisations and religions, and was formerly Executive Vice-President of the BNP Paribas, Paris. Azoulay is also known for his historical input in the follow-up of the peace process in the Middle East and the many initiatives he has been involved in the perspective of deepening the logic of reconciliation between Jews and Muslims. 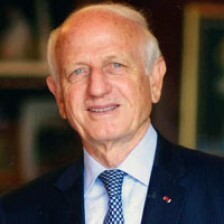 In addition to his professional responsibilities André Azoulay has always fought for peace and dialogue between the Arab Muslim World and that of the Jewish communities in Europe, the United States, Morocco as well as the Arab, Berber and Jewish diasporas worldwide. 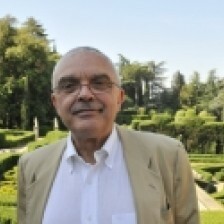 Anthony Molho (Thessaloniki, Greece 1939), is Emeritus Professor at the European University Institute. He studied in the USA and he has taught at the University of Vermont, Michigan State University, and, from 1996 to 2000, he has also taught at the Brown University. Since 1996, he has been president of the Center of Mediterranean Studies and the Istitute of philosophical Studies in Naples. He founded the Academy of European History, an institution intended to bridge the gap between advanced historical research and its dissemination to non scholarly circles (f.e. teachers in secondary schools and journalists). Currently, he is working at the Department of History and Civilization at the European University Institute in Florence. He has been visiting professor at the University of Florence, the University of Athens, Directeur d’ études invité at the Ecole des Hautes Etudes en Sciences Sociales, and visiting scholar at the Maison des sciences de l’homme. He has lectured widely in Europe and North America. Bernard Eric Jensen (b. 1943) is Professor of History Didactics and the Uses of History at the Department of Culture and Identity at Roskilde University. He obtained his degree in history from the University of Copenhagen in 1972, and since then has worked in the Department of History at the University of Copenhagen and in the Department of Education at Aarhus University. In the late 1990s he headed an interdisciplinary research project that undertook comparative analyses of the treatment and uses of history in different academic disciplines, at different kinds of museums, at different levels of the educational system and in Danish society at large. His main fields of research are the theory and uses of history and history didactics. His publications can be viewed on his website at: www.bernardericjensen.dk. Dr. Bodo von Borries studied history, German language and literature, and social sciences. Bodo von Borries holds a doctor’s degree in “social and economic history” which he obtained in 1968 at Bonn University (Germany). He worked as a high school teacher in history and German language and did professional work on educational reform. 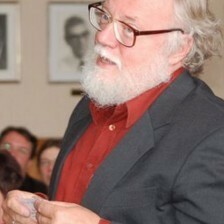 From 1988 -2002 he did cross-cultural studies on historical consciousness, questioning of adolescents and their teachers in East and West Germany (1990, 1992) and in Eastern and Western Europe (YOUTH and HISTORY, 1995) in order to use comparative methods for deeper understanding of national traditions and particularities. He also initiated mixed method (qualitative and quantitative) study in German speaking regions in 2002. From 1976 to 2008 he was professor of education (with special respect to the learning and teaching of history) at Hamburg University (Germany). 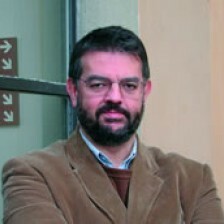 Diogo Sassetti Ramada Curto (Lisbon, 1959) is the Vasco da Gama Professor of History at the European University Institute and a specialist in the history of European expansion and colonialism. He studied History at the New University of Lisbon; he has been a Lecturer, Reader, and Professor at New University of Lisbon, and a Visiting Professor at Yale and Brown Universities. Prof. Dr. Ekmeleddin İhsanoğlu (born 26 December 1943) is a Turkish science historian and currently the Secretary-General of the Organisation of the Islamic Conference (OIC), the second largest public international organisation after the United Nations. İhsanoğlu was born in Cairo, Egypt, where he later studied science at the Ain Shams University, receiving his BSc in 1966. He obtained his MSc in 1970 from the same university and his PhD from the Faculty of Science at the Ankara University in 1974. He was founder and chairman of the Department of History of Science at the Faculty of Letters of Istanbul University from 1984 to 2000. His special interest focuses on culture and scholarship in the Islamic world. He was lecturer and visiting professor at various universities like University of Exeter, United Kingdom (1975-1977), Ankara University, Faculty of Science (1970-1980), Inönü University, Malatya (1978-1980), Ludwig Maximilians University of Munich, Germany (2003). Elizabeth Cole is a senior program officer in the Center for Applied Research on Conflict (ARC) at the U.S. Institute of Peace, where she conducts research and analysis on post-conflict reconciliation practices and their impact, including how reconciliation and related concepts can be operationalized, measured and evaluated. She also manages the Jennings Randolph Fellowship Program. Her research has focused on human rights, historical memory and justice following violent conflict or state repression, with a focus on history education and education reform. Prior to joining USIP, she was an assistant director in Asia Society’s Education Division. As senior program officer at the Carnegie Council on Ethics and International Affairs, she developed an international research project on long term political reconciliation, which led to a multi-authored volume, Teaching the Violent Past: History Education and Reconciliation (Roman & Littlefield, 2007). 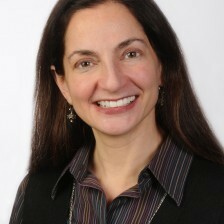 In addition she has worked at Columbia University and the National Endowment for Democracy. Cole has lived and worked in China, Eastern Europe and the former Soviet Union. Cole holds a doctorate from Yale University, a master’s degree from George Washington University and a bachelor’s degree from Swarthmore College. 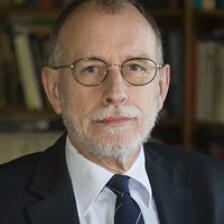 Gunnar Karlsson is a historian and Professor of History at the University of Iceland. He has written a wealth of books, articles, studies, teaching books and introductions to Icelandic history. Hans (J.C.H.) 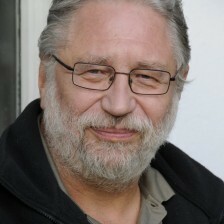 Blom, born in Leiden 1943, studied history and got his Ph. D. at Leiden University in 1975. Since 1970 he teached at the Department of History of the University of Amsterdam (1983 full professorship: chair of Dutch History). In 1996 he was appointed director of the Netherlands Institute for War Documentation (NIOD). He published extensively, mainly about several subjects of Dutch History in the 19th and 20th centuries, more in particular about the origins of the Dutch segmented society, metaphorically called ‘verzuiling’ (columnisation) and about the years 1930-1950. He was an co-editor and author of History of the Low Countries (new edition in English translation, 2006) and of The history of the Jews in The Netherlands (translation in English, 2002). Hans Blom got a broader public attention with his inaugural lecture about the scholarly historiography of the period of the German occupation of the Netherlands (1940-1945), entitled In de ban van goed en fout? (In the grip of good and bad? ), as director of NIOD and through his role in big historical research-projects commissioned by the government, resulting in very voluminous reports: The Affaire Menten (1979) and Srebrenica. A ‘safe area’ (2002). After his retirement Hans Blom was a.o. senior adviser of series of televison documentaries about The Netherlands during the Second World War (De Oorlog; 2008 and 2009) and during the academic year 2010-2011 he hold the Cleveringa-chair of Leiden University. Over the years Hans Blom was a member and/or chairman of many organisations, boards and committees. He was a.o. 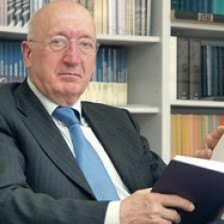 head of the Department of History and Dean of Arts and Humanities of the University of Amsterdam, chairman of the Board of the Royal Dutch Historical Society, editor in chief of main scholarly periodical about the history of The Low Countries (BMGN), chairman of the Organisational Committee of the International Congress of the Historical Sciences in Amsterdam in 2010. Currently he is a.o. chairman of the board of the Resistance Museum in Amsterdam, member of the National Committee for the Remembrance of the (German) Capitulation at Wageningen 1945, and chairman of the Leiden Historical Society. Joze Pirjevec (Trieste, Italy 1940) has graduated in modern history from the University of Trieste, continued his studies at the “Scuola Normale Superiore” in Pisa and at the Diplomatic Academy in Vienna and obtained his PhD in Historical Sciences from the Faculty of Arts in Ljubljana. As a full professor of History of Slavic nations, he has lectured at the Universities of Pisa, Padua and Trieste and teaches at the Faculty of Humanities of the University of Primorska. Currently, he is a senior research scientist at the Science and Research Centre of the University of Primorska in Koper (Slovenia), a corresponding member of the Slovene Academy of Sciences and Arts and chairman of its committee for national minority issues. In 2008, he unsuccessfully ran for election in the Slovenian Parliament. 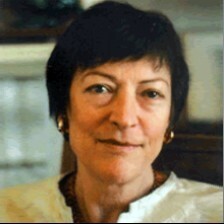 Judith Herrin studied history at the Universities of Cambridge and Birmingham, receiving her doctorate from the latter; she has also worked in Athens, Paris and Munich, and held the post of Stanley J. Seeger Professor in Byzantine History, Princeton University before taking up her appointment as the second Professor of Late Antique and Byzantine Studies at King’s. Upon her retirement in 2008 she became a Research Fellow in the Department. She is best known for her books, The Formation of Christendom (London 1989), Women in Purple (London, 2000), and Byzantium: the Surprising Life of a Medieval Empire (London, 2007); she has also published widely on Byzantine archaeology and other fields. Her current research interests include women in Byzantium and Byzantium in relation to Islam and the West. In 2002 she was awarded the Golden Cross of Honour by the President of the Hellenic Republic of Greece. 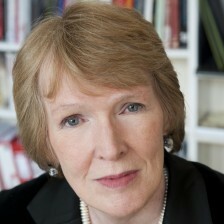 Professor Margaret MacMillan became the fifth Warden of St Antony’s College in July 2007. Prior to taking on the Wardenship, Professor MacMillan was Provost of TrinityCollege and professor of History at the University of Toronto. She was educated at the University of Toronto (Honours B.A. in History) and at St Hilda’s College, and St Antony’s College, Oxford University (BPhil in Politics and DPhil). From 1975 until 2002 she was a member of the History Department at Ryerson University in Toronto and she also served as Chair of the Department. She is a Fellow of the Royal Society of Literature and a Senior Fellow of Massey College, University of Toronto and sits on the Awards Council of the Queen’s Anniversary Trust, and the boards of the Mosaic Institute, the Reuters Institute for the Study of Journalism, and the editorial boards of International History and First World War Studies. She is an Honorary Fellow at St Hilda’s College Oxford and has honorary degrees from the University of King’s College, the Royal Military College, and Ryerson University, Toronto. In 2006 Professor MacMillan was invested as an Officer of the Order of Canada.Professor MacMillan has a long-standing relationship with St Antony’s. She was a student at the College during the early 1970s, producing a doctoral thesis on the British in India. She returned as a Senior Associate Member in 1993 and was elected to an Honorary Fellowship in 2003.Professor MacMillan’s publications include Women of the Raj as well as Peacemakers: the Paris Conference of 1919 and Its Attempt to Make Peace. The latter was published in North America as Paris 1919: Six Months that Changed the World and won the Duff Cooper Prize, the Samuel Johnson Prize for non-fiction, the Hessell-Tiltman Prize for History, the Silver Medal for the Council on Foreign Relations Arthur Ross Book Award and the Governor-General’s prize for non-fiction in 2003. It was a New York Times Editor’s Choice in 2002. She has subsequently written Canada’s House: Rideau Hall and the Invention of a Canadian Home, jointly with Marjorie Harris and Anne L. Desjardins; Nixon in China: The Week That Changed the World (entitled Nixon and Mao in the US.) was nominated in January 2007 for a Gelber Prize, awarded annually to the best book on international affairs published in English. Her most recent book is The Uses and Abuses of History (Dangerous Games in the US). She comments frequently in the media on historical issues and current affairs. Maria Grever (1953) is professor of Theory and Methodology of History, and director of the Center for Historical Culture at Erasmus University Rotterdam (EUR).In 2006 she has founded the Center for Historical Culture which initiates, coordinates and produces academic research on historical culture.. Over the years she has been involved and still is as president or board member national foundations, advisory boards, editorial boards of journals, and other professional (historical) organizations. Her research focuses on the transformation of historical culture since the late 18th century in various contexts. She is particularly interested in how and why historical cultures have been shaped by both consumers and producers of collective memories (including central governments), and by traditions and rituals (including the monarchy). Mark A. Mazower (1958) graduated from Oxford University in 1981 (B.A.) and from Johns Hopkins University in 1983 (M.A. ), and obtained his D.Phil. at Oxford University in 1988. He is currently Ira D. Wallach Professor of World Order Studies and Director of the Center for International History at Columbia University. He is considered to be one of the world’s leading specialists in Balkan history and has written extensively on the region, with a special focus on Greek history. Mr. Mazower also comments on international affairs on a regular basis for various newspapers, among them the Financial Times. 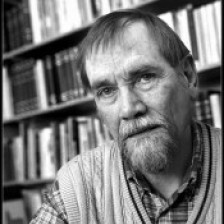 Mart Laar (Viljandi, 1960) has graduated at the Tartu University in 1983 and is an Estonian historian and a founding member of the Foundation for the Investigation of Communist Crimes. 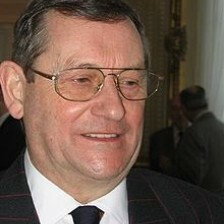 He was the Prime Minister of Estonia from 1992 to 1994 and from 1999 to 2002. 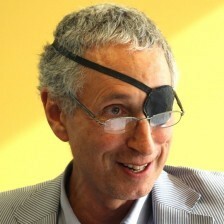 He is a member of the International Council of the New York-based Human Rights Foundation. In addition to being a politician, Laar has written several books on Estonian and Soviet history. He was also a history teacher in Tallinn, as well as the president of the Council of Historians of the Foundation of Estonian Inheritance, the Society for the Preservation of Estonian History and the Estonian Students’ Society. 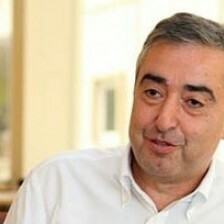 After the Rose Revolution in Georgia, Laar became advisor to President Saakashvili and assisted his government in carrying out radical liberal reforms. In 2007 he was elected a Chairman of the Union of Pro Patria and Res Publica. Massoud Daher received his BA in education and a Higher Studies Diploma in history from Lebanese University. He also obtained a postgraduate Doctorate and PH. D. in social history from the University of the Sorbonne in Paris, France. Since 1973, he has taught at Lebanese University. He was appointed a member of Lebanese University’s Consultative Scientific Council to represent the Arts and Humanities Faculty in 1996. He has also been invited by the Japan Foundation to lecture at the Institute of Developing Economies and the University of Tokyo on many occasions. He was invited to lecture at Georgetown University in Washington, DC thanks to a research grant from the Fulbright Program. In 2004 and 2008 ,he was delegated to work at the UNDP. He is proficient in Arabic, French, and English and has a base knowledge of Russian and the first level in Japanese. 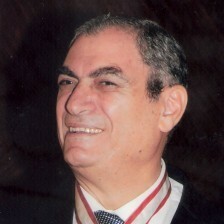 Prof. Massoud DAHER was granted the Abdel Hamid Shuman Award for young Arab scientists in Jordan in 1983. In 1992, 1994, and 2000, he was selected to be a member of the arbitration board for this award. He was also chosen to be a member of Sultan bin Awis Cultural Award board in 1999. In 1993, he was awarded the Arab Historian Medal and the Arab History Medal in 1996 from Arab Historians Association. 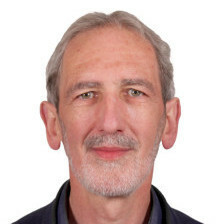 Professor Ivor Norman Richard Davies is a leading English historian of Welsh descent, noted for his publications on the history of Europe, Poland, and the United Kingdom. was born to Richard and Elizabeth Davies in Bolton, Lancashire. Davies studied in Grenoble, France (1957–1958). He was a disciple of A. J. P. Taylor at Magdalen College, Oxford where he earned a B.A. (history, with honours) in 1962. He earned an M.A. (1966) at University of Sussex. He studied in Perugia, Italy. He intended to study for a PhD in the Soviet Union, but was denied an entry visa. Instead, he went to Kraków to study at the Jagiellonian University and do research on the Polish–Soviet War. As this war was denied in the official communist Polish historiography of that time, he was obliged to change the title of his dissertation to The British Foreign Policy towards Poland, 1919–20. After obtaining a Ph.D. (1968) in Kraków, the English text appeared under the title White Eagle, Red Star. The Polish-Soviet War 1919–20 in 1972. From 1971, Davies taught Polish history at the School of Slavonic and East European Studies (SSEES) of the University of London, where he was professor from 1985 to 1996. Currently, he is Supernumary Fellow at Wolfson College, Oxford. 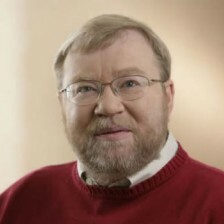 Throughout his career, Davies has lectured in many countries, including the United States, Canada, Australia, Japan, China, Poland, and in most of the rest of Europe as well. 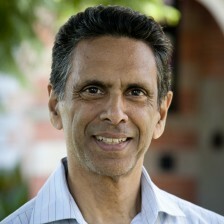 Stanford University controversially denied him a tenured faculty position in 1986. In 1996 he retired from the professorial chair he had held in London since 1985. Paul Ginsborg (London, 1945) is a British historian and he taught European Politics at the University of Cambridge. Currently, he is Professor of Contemporary European History at the University of Florence. 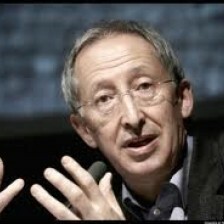 He frequently comments upon politics and life in Italy for many international newspapers. Peter Seixas began his career as a high school social studies teacher in Vancouver (15 years). As Director of UBC’s Centre for the Study of Historical Consciousness, he brings together researchers and practitioners who focus on history education with those whose primary interests lie in collective memory and historiography. His research and leadership of the pan-Canadian Historical Thinking Project have sparked major changes in provincial school curricula, shaped new history textbooks, and reformed teachers’ professional development practices across Canada and beyond. His publications include Knowing, Teaching and Learning History: National and International Perspectives (2000) edited with Peter Stearns and Sam Wineburg, Theorizing Historical Consciousness (2004), and New Directions in Assessing Historical Thinking (2015) edited with Kadriye Ercikan. He is also a co-author of The Big Six Historical Thinking Concepts (2013) and Canadians and Their Pasts (2013). His contributions have been recognized with the Canada Research Chair in Historical Consciousness (2001-2014), a fellowship in the Royal Society of Canada, NCSS’ Exemplary Research Award, the American Studies Association’s Constance Rourke Award, the American Historical Association’s William Gilbert Award, the Innovation Award of the BC Social Studies Teachers’ Association, the National Leadership Award of the Ontario History and Social Science Teachers’ Association, UBC’s Killam Faculty Teaching Prize and (last but not least) the Queen Elizabeth II Diamond Jubilee Medal for Service to Canada. His most recent article is “A Model of Historical Thinking.” Educational Philosophy and Theory (2015): DOI:10.1080/00131857.2015.1101363. 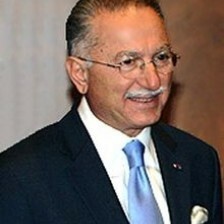 M. Şükrü Hanioğlu is a Turkish professor of late Ottoman history in the Department of Near Eastern Studies at Princeton University. Between 2005 and 2014, he was the department chair. He received his B.A. in Political Science and Economics and his Ph.D. in Political Science from Istanbul University. His thesis was on the political activities and thought of one of the founders of the Committee of Union and Progress (CUP), Dr. Abdullah Cevdet. He has done extensive research on the history of the CUP during the period from 1889 to 1908, i.e. from its foundation to the Young Turk Revolution using organization’s own papers (since it was an underground organization), archival sources including those found in the Turkish, German, Austrian, French, Swiss, Italian, Greek, and British archives. He was also the first foreign scholar to visit the national archives of Albania, during the period when hardly anyone could visit the country. 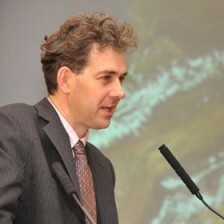 Tom de Waal is a senior associate with Carnegie Europe, specializing in Eastern Europe and the Caucasus region. He is the author of numerous publications about the region. His latest book is Great Catastrophe: Armenians and Turks in the Shadow of Genocide (Oxford University Press, 2015). He is also the author of the authoritative book on the Nagorny Karabakh conflict, Black Garden: Armenia and Azerbaijan Through Peace and War(NYU Press, second edition 2013), which has been translated into Armenian, Azeri, Russian, and Turkish, and of The Caucasus: An Introduction (Oxford University Press, 2010). De Waal has worked extensively as a journalist and writer in the Caucasus and Black Sea region and in Russia. From 1993 to 1997, he worked in Moscow for the Moscow Times, the Times of London, and the Economist, specializing in Russian politics and the situation in Chechnya. He is the co-author (with Carlotta Gall) of the bookChechnya: Calamity in the Caucasus (NYU Press, 1997), for which the authors were awarded the James Cameron Prize for Distinguished Reporting. He has also worked for the BBC and for the Institute for War and Peace Reporting, a London-based NGO. Thomas Devine is a graduate of Strathclyde University and holds honorary doctorates from his alma mater, The Queen’s University, Belfast and the University of Abertay, Dundee. At Strathclyde he rose through the academic ranks from assistant lecturer to Professor of Scottish History (in 1988), Dean of the Faculty of Arts and Social Sciences and, finally, Deputy Principal of the University from 1994 to 1998. From 1999 to 2004 he was a member of staff at Aberdeen University, being successively University Research Professor in Scottish History, Director of the AHRC Research Centre in Irish and Scottish Studies and Glucksman Research Chair of Irish and Scottish Studies. He joined Edinburgh University in January, 2006. In addition to these appointments in the UK, he holds Honorary Professorships across the Atlantic at North Carolina (USA) and Guelph (Canada). Between 1992 and 1993 he was a British Academy/Leverhulme Trust Senior Research Fellow. 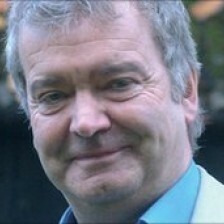 Tom Devine has won several awards, fellowships and prizes in recognition of his scholarship and research achievements. In 2001 he was presented by HM the Queen with the Royal Gold Medal, Scotland’s supreme academic accolade. He is the only historian elected to all three national academies within the British Isles. Tom Devine has published 34 books and over 100 academic articles on a wide variety of subjects related to Scottish history. Vaira Vīķe-Freiberga (Riga, Latvia 1937) was the first female President of Latvia. During the Soviet occupation, in 1944, Vīķe escaped to Germany with her family. After that they moved to French Morocco where she went on to attend Collège de jeunes filles de Mers-Sultan in Casablanca. In 1954 her family moved to Toronto, Canada where she completed her study and received her High School diploma. In 1958 she was accepted as a student at the University of Toronto. She first achieved a BA in Psychology in 1958 and followed it with an MA in 1960. In late 1960, Vīķe became a clinical psychologist at the Toronto Psychiatric Hospital. In 1965, she took the post of Professor of Psychology at the University of Montreal. In June 1998, she was made a Professor Emerita and took this opportunity to return to Latvia, where she received the offer of the Directorship of the Latvian Institute. 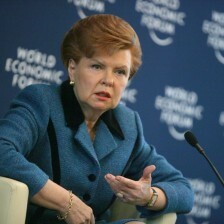 One year later she became President of Latvia and reelected in 2003. 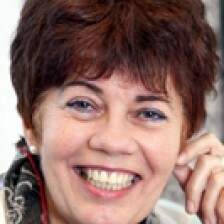 She has been succeeded as president by Valdis Zatlers, who was elected President of Latvia in May 2007. In that same year she was appointed vice-president of the Reflection Group on the long-term future of the European Union. 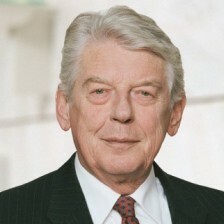 Wim Kok (d. 2018) served two consecutive terms as Prime Minister of the Netherlands from 1994 to 2002. Before that he was Minister of Finance and Deputy Prime Minister between 1989 and 1994. He was leader of the Dutch Labour Party for 16 years: from 1986 to 2002. After having studied at the Nijenrode Business School, Wim Kok started his career in the Netherlands Confederation of Trade Unions. He was president of that Confederation from 1973 till 1985. Next to that he served as president of the European Trade Union Confederation between 1979 and 1982. After having stepped down as Prime Minister in 2002 he served –amongst others- as a non-executive director of some large international companies, such as Royal Dutch Shell, ING Group, TNT, Post NL and KLM. In 2004, he headed a High Level Group advising the European Council on revitalising the European economy and improving its competitiveness. He held and still holds a large number of positions in non-profit organisations, including the Anne Frank Foundation, where he chairs the board of trustees. He is also a member of the board of trustees of the International Crisis Group (ICG) and member of the International Commission on Missing Persons (ICMP). In 2003 Wim Kok was appointed Minister of State. From 2010 to 2014 he served as President of the Club de Madrid, the world’s largest organisation of former Heads of State and Government. Since November 2013 he is independent non-executive director of the China Construction Bank. 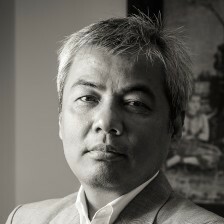 Youk Chhang is the Executive Director of the Documentation Center of Cambodia (DC-Cam), founder of Sleuk Rith Institute and a survivor of the Khmer Rouge’s “killing fields.” He is a Senior Research Fellow at the Center for the Study of Genocide, Conflict Resolution, and Human Rights at Rutgers University-Newark. He was a member of the eminent persons group who founded the Institute for International Criminal Investigations in The Hague in 2003. In 2000, he received the Truman-Reagan Freedom Award from the Victims of Communism Memorial Foundation in Washington, DC. He was named one of TIME magazine’s “60 Asian heroes” in 2006 and one of the “Time 100” most influential people in the world in 2007 for his stand against impunity in Cambodia and elsewhere. Yudhishthir Raj Isar is an independent analyst, advisor and public speaker who straddles various worlds of cultural theory, experience and practice. Professor of Cultural Policy Studies at The American University of Paris and Adjunct Professor at the Institute for Culture and Society, Western Sydney University. Co-founder of the Cultures and Globalization Series (SAGE). Trustee of several cultural organizations and consultant to international organizations and foundations.